I haven’t necessarily wanted to share with you about the boys’ current soccer season. The first two games of the season were so pitiful, I actually took to trying to disguise myself at subsequent games. Thankfully, Mad Dog’s mad skills have turned both boys’ teams around. I can now freely leave my wigs and sunglasses at home. Look for Mad Dog’s blog in the future called, “Winning is Everything. One Man’s Journey to Ultimate Soccer Coaching Success, All Thanks to My Beautiful Wife” (or something like that). Of course before last Saturday’s game for T.Puzzle, I had an in-depth discussion with him that his focus should be on kicking the ball, NOT playing tag with a rascally teammate. Whatever it was, both squads have improved dramatically from that first week. While I enjoy when they win, I can walk away happy if they gave it their all. This recent soccer success has convinced Full Speed that he is going to be a professional soccer player. His dream is to play for Argentina so he can be on the same team as Lionel Messi. I told him I would miss him and that I would do my best to travel to as many games as I could. 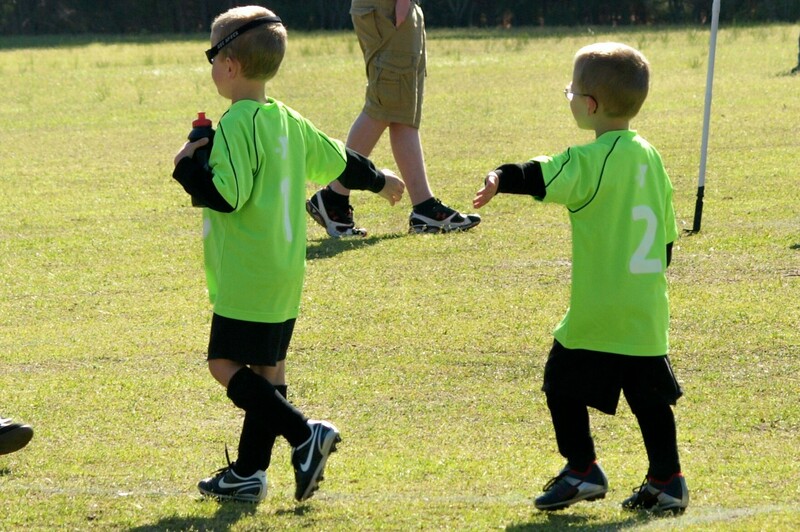 With Mad Dog’s soccer genes and a heart of gold, I predict he is going to give Lionel Messi a run for his money.